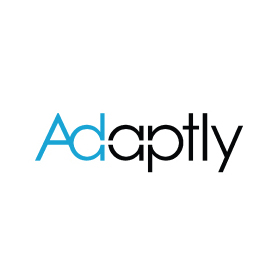 Adaptly enables advertisers to scale campaigns across Twitter and other social networks through its technology and services. It helps advertisers deliver more value through ads that are relevant to consumer identities and social contexts. Managed service offerings include strategy, planning, media buying, execution, and analysis. Clients span 15 industries including financial services, media, retail, CPG, and many more. Adaptly is headquartered in New York City, with offices in Chicago, Los Angeles, San Francisco, Sydney, and London. Brands can achieve full-funnel marketing objectives through tailored media plans informed by custom insights. Brands can review campaign performance through in-depth reports and cross-channel spend in real time. With Adaptly, brands can execute and optimize cross-channel campaigns with a single partner.